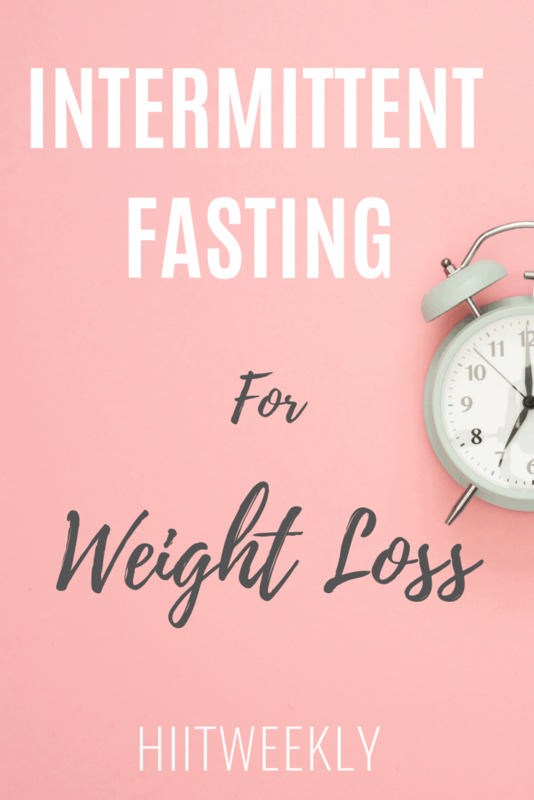 Intermittent fasting for weight loss is huge at the moment with many citing it as the next best thing in your quest for weight loss. But is intermittent fasting worth it and will it help you lose weight. We wanted to know the same so we went searching for answers and hers what we found. If you’re new to if then here’s a quick low down of what you need to know. It’s not new in fact it’s very old but there seems to be a growing buzz and interest in if especially for weight loss. Generally there’s the common 16.8 where you fast for 16 hours and feed for 8 typically 8pm to 12pm. Or the 24 hour fast. Typically 12 pm to 12 pm or 5pm to 5pm. 16 hour fasts are easier of course and tend to be more popular and you can do them more often up to 5 days a week. Whereas a 24 hour fast tends to be done on one or two days a week. And is definitely more extreme. Fasting for periods of time has been proven to increase your resting metabolic rate. Study here. It has also been proven to help reduce the fat that lies around your belly. Which is always a winner. Study Here. As you cut your eating window you’ll naturally consume less calories throughout the day and week resulting in faster weight loss. While fasting your body will use up all of your carbohydrate stores within 6-12 hours or less if you’re on a ketogenic diet. Therefore for the remaining time fasted you will be in a ketogenic state meaning your bodies main fuel source is fat. Intermittent fasting for weight loss has been shown to help control your hormones within the body. If you find yourself struggling to redistrict calories through the week intermittent fasting is a great way to help reduce your overall calorie intake. On your fasted days you don’t need to eat 6 meals a day maybe just 3 instead. As humans we were used to going for long periods of time without food and we are actually quite good at it bit the modern person doesn’t need to fast so why should we. Over consumption of food can lead to insulin resistance and excessive visceral fat which can further lead metabolic diseases such as diabetes and obesity. Intermittent fasting has been shown to help disorders such as diabetes, cardiovascular disease, cancers and neurological disorders such as Alzheimer’s disease Parkinson’s disease and stroke. Some powerful benefits! Studies that compared various types of Intermittent fasting have demonstrated efficacy for weight loss and improvements in multiple health indicators including insulin resistance and reductions in risk factors for cardiovascular disease. Intermittent fasting yields similar results for weight loss as traditional calorie restriction however with intermittent fasting there are more benefits associated with it such as increased growth hormone and reduced insulin resistance. Therefore if you were to include intermittent fasting into your current lifestyle you wouldn’t do yourself any harm. From a human nature stand point. It’s far easier to fast for 1 or 2 days a week and eat normally for 5 than it is to restrict your calories every day of the week, as most people hate feeling like they are on a diet. With that in mind if you find yourself eating really well Monday to Friday but the weekends let you down then fasting on a Sunday night to Monday afternoon and again once more in the week could be just what you need to balance out your weekly calorie deficit needed to lose weight. One of the best diets that complements intermittent fasting is a ketogenic or low carb diet as it keeps you in a ketogenic state burning fat as your main source of energy. What’s great about fasting is that you know your body is burning fat while you crack on with your day to day tasks. You don’t have to go crazy with your workouts either. Because you’re already in a fat burning state things like low intensity cardio and yoga are ideal. Fat oxidation occurs best at low intensity activities where it requires lots of oxygen. So if you jump into a HIIT session or start lifting weights your body will start to become less efficient at burning fat. Benefits include increased growth hormone, calorie restriction and improved insulin sensitivity. So to answer our question, is intermittent fasting for weight loss worth it, we would say yes, yes it is. We are all human and we love food ad this is what stops a lot of people from losing weight week after week. Introducing intermittent fasting is a powerful tool to help restrict your calories naturally whilst gaining all the hormonal changes that aids fat loss. What’s more it’s really simple to implement. The 16 hours fast with an 8 hour window is a popular start point 1-4 days a week.